The purpose of this study was to clarify the effects of colored lenses on the visual performance of middle-aged people. The subjects were 19 middle-aged people with a mean age of 57.4 ±6.0 years. Five different functional lenses were used in the experiments: colorless lenses and four colored lenses (Light-yellow, Dark-yellow, Light-gray, and Dark-gray). Using each lens type, contrast sensitivity, depth perception, hand–eye coordination, dynamic visual acuity, and visual acuity/low-contrast visual acuity were measured. Visual acuity/low-contrast visual acuity was measured under the four conditions of Evening, Evening + Glare, Day, and Day + Glare. Results showed that dynamic visual acuity and depth perception did not differ among the lens types, but hand–eye coordination measurements had a significantly shorter time with the Light-yellow and Dark-yellow lenses than the Dark-gray lenses. Low-contrast visual acuity under Evening and Evening + Glare conditions tended to be lower with the Dark lenses than the Colorless and Light-yellow lenses. The subjects rated the Yellow lenses as bright in a subjective questionnaire evaluation. 1. Christenson G.N., Winkelstein A.M. Visual skills of athletes versus nonathletes: development of a sports vision testing battery. J Am Optom Assoc. 1988; 59: 666–675. 2. Chung S.T., Pease P.L. Effect of yellow filters on pupil size. Optom Vis Sci. 1999; 76: 59–62. 3. Cooper S.C., Smith J.A., Katz M., Preston J. Nonprescription tinted eyewear optical accuracy study. Optometry. 2001; 72: 510–518. 4. De Fez M.D., Luque M.J., Viqueira V. Enhancement of contrast sensitivity and losses of chromatic discrimination with tinted lenses. Optom Vis Sci. 2002 ; 79: 590–597. 5. Fishman G.A. Ocular phototoxicity: guidelines for selecting sunglasses. Surv Ophthalmol. 1986; 31: 119–124. 6. Ham W.T. Jr, Mueller H.A., Sliney DH. Retinal sensitivity to damage from short wavelength light. Nature. 1976; 260: 153–155. 7. Hoffman L.G., Polan G., Powell J. The relationship of contrast sensitivity functions to sports vision. J Am Optom Assoc. 1984; 55: 747–752. 8. Hovis J.K., Lovasik J.V., Cullen A.P. Physical characteristics and perceptual effects of “blue-blocking” lenses. Optom Vis Sci. 1989; 66: 682–689. 11. Kohmura Y., Murakami S., Aoki K. Effect of Yellow-Tinted Lenses on Visual Attributes Related to Sports Activities. Journal of Human Kinetics. 2013; 36: 27–36. 12. Laby D.M., Kirschen D.G., Pantall P. The visual function of Olympic-level athletes – An initial report. Eye & Contact Lens. 2011; 37: 116–122. 13. Lawler S., Spathonis K., Eakin E., Gallois C., Leslie E., Owen N. Sun exposure and sun protection behaviours among young adult sport competitors. Aust N Z J Public Health. 2007; 3: 230–234. 14. Lawwill T., Crockett S., Currier G. Retinal damage secondary to chronic light exposure, Thresholds and mechanisms. Doc Ophthalmol. 1977; 44: 379–402. 15. Lee J.E., Stein J.J., Prevor M.B., Seiple W.H., Holopigian K., Greenstein V.C., Stenson S.M. Effect of variable tinted spectacle lenses on visual performance in control subjects. CLAO J. 2002; 28: 80–82. 16. McCarty C.A., Taylor H.R. A review of the epidemiologic evidence linking ultraviolet radiation and cataracts. Dev Ophthalmol. 2002; 35: 21–31. 17. Miller D. The effect of sunglasses on the visual mechanism. Surv Ophthalmol. 1974; 19: 38–44. 18. Rieger G. Improvement of contrast sensitivity with yellow filter glasses. Can J Ophthalmol. 1992; 27: 137–138. 20. Wolffsohn J.S., Cochrane A.L., Khoo H., Yoshimitsu Y., Wu S. Contrast is enhanced by yellow lenses because of selective reduction of short-wavelength light. Optom Vis Sci. 2000; 77: 73–81. 23. Zwierko T., Osinski W., Lubinski W., Czepita D., Florkiewicz B. Speed of visual sensorimotor processes and conductivity of visual pathway in volleyball players. 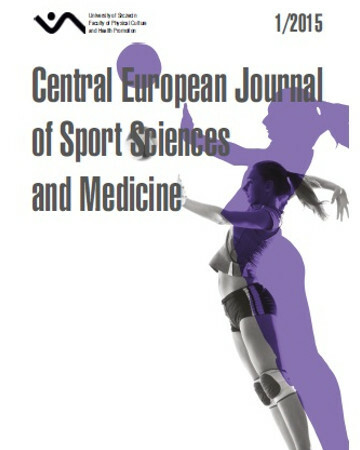 Journal of Human Kinetics. 2010; 23: 21–27.